Judah describes himself as a teacher, with a capital T. He is proud that he has been an educator for over 24 years and can’t imagine a life better spent. Judah has loved school since his first day as a student at Mulobezi Primary School in January, 1978. In August 2006, together with his ‘Canadian sister’, Laura Manni, he launched the Mukwashi Trust School – the most important and treasured work of his life (so far)! 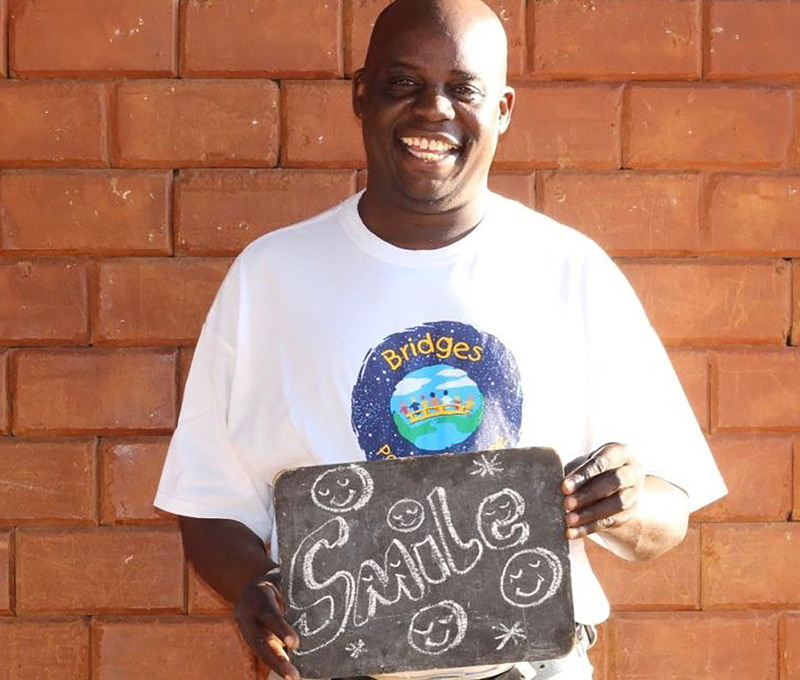 Judah says that when John Farrell visited Mukwashi in 2009 a bridge was built that changed the face of Mukwashi Trust School forever. It is thanks to the continued support of BoPH that the school has grown not only in buildings, students, and teachers, but also from a rural school into a global one. Mukwashi is happy to have relationships with schools in Europe and America, and looks forward to new relationships in Africa and beyond! An interesting fact: In 2017 – at the age of 46 – Judah was able to take his very first flight to visit Vienna, Austria. Thanks to BoPH and its partners around the world, Judah and Mulemba got the chance to visit their partner school AIS Vienna, and then travel on to the CESSA conference in Sofia, Bulgaria where they shared the story of how Mukwashi, AIS Vienna, and BoPH have made connections that have educated and enriched the lives of everyone involved. Judah is focused on cultivating relationships with his staff, students and their families. He knows that it is only through relationships that we can tear down walls and build bridges towards understanding and love. He also happens to be an amazing dancer, with a great sense of humor and an even greater heart.